There are numerous ways to participate in the Hiett Prize in the Humanities award ceremony and surrounding festivities. A schedule of events is below. Meet the Hiett Prize recipient before the big celebration begins. 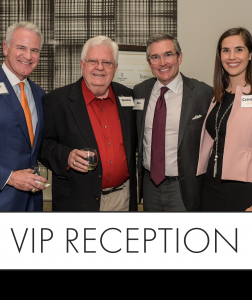 This lively and upscale, private event includes entertainment, drinks, hors-d’oeuvres, and time to mix and mingle with the recipient, judges, and chairs of the Hiett Prize Committee. 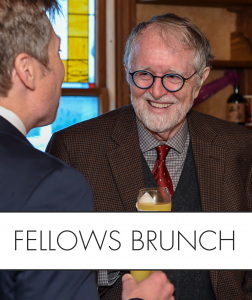 Dine with friends and associates over lunch as the Hiett Prize is awarded to the year’s noteworthy recipient. They will share what the achievement means to them, why they dedicated their lives to the humanities, and how the prize will further their mission to pursue the greater good. 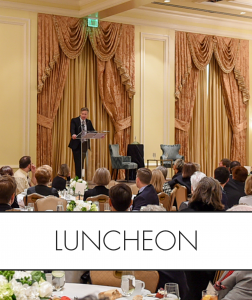 The annual luncheon is a once-in-a-lifetime chance to meet one of the great minds of the humanities. 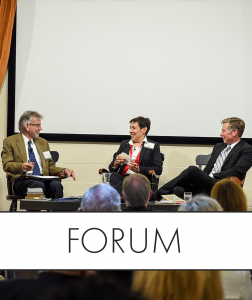 In this close setting, attendees are able to have more of a one-on-one experience with the Hiett Prize recipient. Dr. Larry Allums moderates a personal conversation with the winner with more in-depth questions about their work. Audience members are encouraged to ask questions and participate in a dialogue. Click to make your reservation. Once the Hiett Prize is received, the recipient is formally inducted as a Fellow of the Dallas Institute. The recipient joins the ranks of a prestigious group of like-minded individuals with different paths converging in the humanities. From journalists and artists to urban planners, each prize recipient is respected in their field and brings a different experience to each affair.